 The ultimate Iowa experience on a bike, the Racoon River Valley Trail is a 90 plus mile span with a 72 mile interior loop, consisting of woodland vistas, prairie landscapes, thriving communities and the agricultural topography that Iowa is famous for. Built upon the foundation of a former railroad right of way first built in the 1870s to connect Des Moines to the Great Lakes region, the Raccoon River Valley Trail is fully paved with a rail trail typical level grade. The trail can be accessed for a daily fee for riders 18 and over, with proceeds going to the various conservation boards in the counties that the trail passes through. The trail hosts multiple special events that are popular with locals but also tourist destinations. Check out the Market to Market Relay, the BACoon Ride and Tour The Racoon and Pedaler’s Jamboree. Whether you’re into fun events or just a leisurely ride, it’s easy to do the Racoon River Valley Trail your way in your own time. Ride the entire trail, with a total distance of over 100 miles or divide the ride and spend the night in Perry, Jefferson or Panora. You could also skip the loop that runs north to Jefferson and Cooper, which is 72 miles. An out and back trip to Jefferson at the half way point is also a popular choice for some trail enthusiasts. Decided to brave the Racoon? To ride the whole trail, we suggest beginning at the north end of the trail in Jefferson. The trailhead is a former Milwaukee depot that is only open for special events, but it has plenty of parking and fresh water available for the journey. Heading south, the trail quickly opens up to farm land as it approaches Cooper and the 600 foot long trestle bridge that spans the North Racoon River. After Cooper, Herndon is the next point and the first junction on the trail. This is where the loop route begins; turn to the left to head east into Jamaica, Dawson or Perry or continue south toward Yale and Panora. The eastern loop is peaceful and picture perfect with farm land and meadows dotted with wooded portions. An 1889 depot will appear trailside at Dawson; a look inside will show plenty of railroad history, and this stop may be welcome for a restroom visitor or to refill water supplies. Perry is six miles further on this route and many businesses here welcome trail visitors and there is another refurbished depot building with public facilities. After Perry, expect a southeast direction through Minburn and Dallas Center followed by Waukee and the second trail junction. You can finish your trip by taking the short trail segment East to Clive or continue on, passing under US 6 and picking up the Clive Greenbelt Trail through the suburbs of West Des Moines. In Waukee, you can also choose to turn west and stay on the Racoon River Valley Trail which will take you to Adel then through Redfield, Linden and Panora, where the trail turns north. In six miles, you’ll reach Yale with a huge silo that is meant for grain, but also fortunately a city park with restrooms and water. Herndon is within five miles and the first trail junction at this side of the trail. You’ve done it – the Racoon River Valley Trail is complete.